That All ‘Masters’ In Their Field Use. When it comes to discussing success - you’ll hear the mega successful - talk about the value of the right mindset - about how it’s THE ONLY SKILL that matters. But fewer than 1% of them can tell you what it’s made up of or how to “get” it. But what if there were a definable set of skills you could employ that would turn you into the person who could remain true to their values & beliefs while creating serious, significant, success? …and if these skills were learn-able for the average person? Obviously they would be MENTAL skills. Would it help if these skills were outlined in nine easy to understand and use - steps? That’s exactly what our Universal Success Principles eLearning Program is! How to become effective rather than efficient. What to do to keep your mindset in tip top shape. How to use time to your advantage. What to do to master you “to Do” list like a pro. The difference between a goal and a vision & why one matters more than the other. When to go for it and when to let go. How to smash your target out of the park. What to do with defeat. Why the “who” questions always delivers outstanding results. Why the “what do I do next” question creates stickiness and drama. How to create revitalisation, renewal and refreshment while really going for it. How to read the signs that your mindset is fading so that you can adjust it on the fly. The process to quickly turn stress into an advantage. 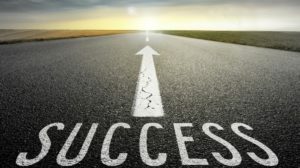 In short, the Universal Success Principles eLearning Course is the pre-requisite to making any project work - whether that’s a marriage, raising kids, building a business or just plain staying healthy. Status and recognition as Certified Universal Principles of Success Specialist. 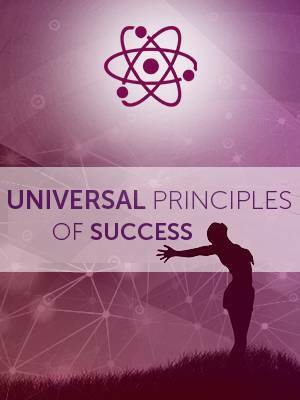 Become a Certified Universal Principles of Success Specialist Today!